Democrats won the first round on health care last night, but centrist Senators Ben Nelson and Joe Lieberman took to the talk shows today to say the current bill won't pass. Peter Beinart on why the public option might be doomed. The Senate’s vote Saturday night to open debate on a health-care reform bill shouldn’t make liberals cheer and it shouldn’t make them cry. It should make them sigh. That’s because the vote shows—more clearly than anything so far—what a bittersweet endeavor health-care reform really is. On the one hand, the decision by conservative Democrats Mary Landrieu of Louisiana and Blanche Lincoln of Arkansas to allow debate to proceed makes it increasingly likely, though certainly far from certain, that some kind of major health-care reform will pass. That’s nothing to sneeze at. After all, Landrieu and Lincoln have sided with the GOP in plenty of big fights in the past, and given how unpopular Barack Obama is the Deep South, it is entirely possible that they could have killed health-care reform outright (which would have continued a century-old tradition of right-leaning Southern Democrats killing liberal reforms). Landrieu seems to have been bought off, in part, by money for her state—which, given Louisiana’s epic, post-Katrina problems, is pretty understandable. Lincoln, interestingly, appears to have gotten pressure from her left in the form of a potential 2010 primary challenge from an unabashedly pro-health-care reform Democrat. At the end of the day, Senate liberals will choose something over nothing, but with the knowledge that many of the fundamental problems with American health care will endure. It’s a good example of how the political landscape has changed since the debate over Hillarycare in 1994. Back then, before the emergence of the “netroots” activist left, liberals had little sway over conservative Democrats like Lincoln. Now they at least have some. In a red state like Arkansas, Lincoln still spends more time looking over her right shoulder than her left, but because liberals can now raise money and organize in a way they could not before, she can’t take them entirely for granted. After all, even if she won a primary battle (as she likely would), it would force her to expend scarce resources that she needs for her general election battle. In that regard, therefore, Lincoln’s vote to allow debate is a success story—a sign that even in places where liberals are not thick on the ground, they can nudge conservative Democrats in their direction. • Matt Miller: The Runaway Senate• Lloyd Grove: John McCain on why Joe Lieberman is Undecided on Health-Care ReformThat’s the good news. The bad news is that in voting to allow debate, Landrieu and Lincoln hammered some nails in the coffin of a robust “public option” that would allow the government to compete with private insurers. Both senators stressed that if the Senate bill includes a public option, they will ultimately oppose the whole thing. And since apostate Democrat-turned-independent Joseph Lieberman and moderate Republican Olympia Snowe have said something similar, and since health-care reform requires 60 votes, that means that liberals will likely face a choice: between a robust public option and a health-care reform bill that can pass. That’s where the sighing comes in. At the end of the day, Senate liberals will choose something over nothing, but with the knowledge that many of the fundamental problems with American health care will endure. It will be a necessary choice, and a tragic one. Politically, this is the world in which we live. The 2006 and 2008 elections have moved American politics significantly to the left, but the current conventions of the Senate—which require 60 votes for any important legislation—mean that even strong liberal majorities are not enough. The age of Obama is an age of progressive reform: the fourth in the last century (the first three being the presidencies of Theodore Roosevelt/Woodrow Wilson, the presidency of Franklin Roosevelt and the presidencies of John F. Kennedy/Lyndon Johnson). But it is not an age of dramatic progressive reform, at least not yet. For that to change, liberals are going to have to win again at the polls, if not in 2010, then at least in 2012, and they’re going to have to win big. 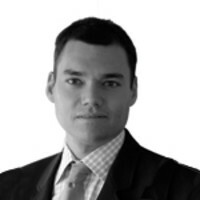 Peter Beinart, senior political writer for The Daily Beast, is a professor of journalism and political science at City University of New York and a senior fellow at the New America Foundation.